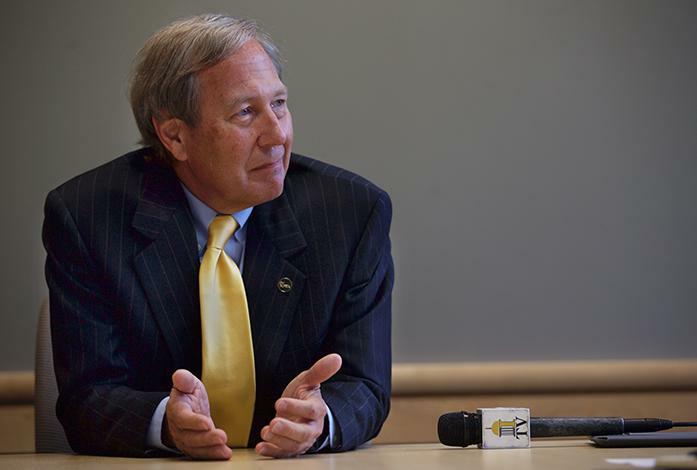 The UI community expresses concerns over University of Iowa President Bruce Harreld’s public-speaking engagements. 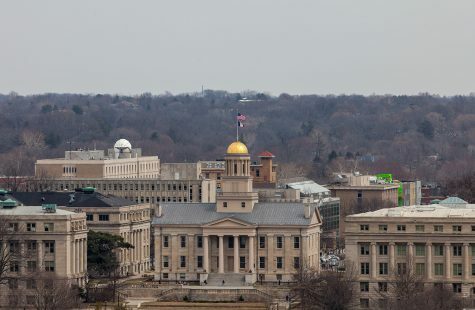 One year after Bruce Harreld took over as University of Iowa president and two chaotic town-hall meetings later, the UI community remains concerned about a lack of transparency trickling down from the state Board of Regents. 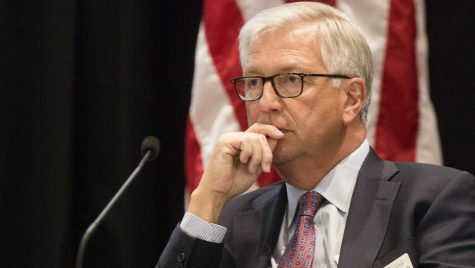 Since the regents selected Harreld as the successor for former UI President Sally Mason in September 2015, Harreld has been criticized for his lack of administrative experience in higher education as a former IBM executive. The American Association of University Professors sanctioned the UI over the regents’ process of searching and ultimately selecting a new president. Despite polls indicating a lack of support for Harreld’s candidacy as a man from the business world, the regents — after meeting privately with Harreld — unanimously hired him. In an attempt to remedy concerns over Harreld’s hiring and his commitment to the UI, he announced he would hold three town-hall meetings per year to give a presentation and answer questions from attendees. After disruptions from protesters made for a tense town hall in February, Harreld hosted one more meeting in May but has not scheduled another one since. 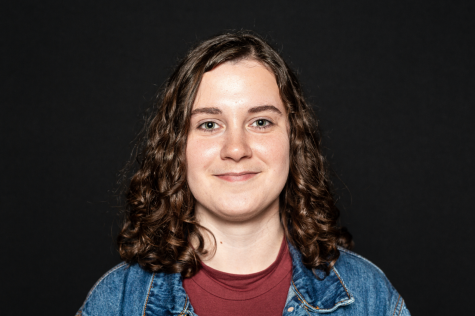 UI AAUP President Katherine Tachau gave Harreld credit for working with UI Student Government President Rachel Zuckerman to make a Cambus stop for the cultural houses and LGBTQ Resource Center and for hosting discussions at those locations. “It’s a good start if he’s interacting well with students and thinking about students’ concerns,” Tachau said. However, a person in Harreld’s position should be able to meet publicly and frequently with the people he leads — namely the UI faculty, staff, and students — to establish his legitimacy, Tachau said. 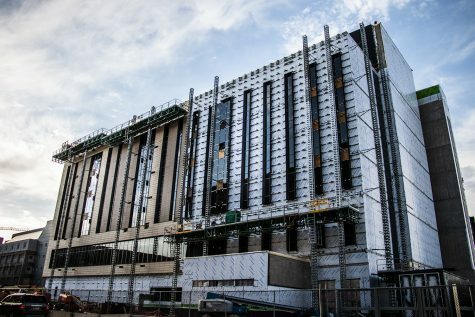 “He needs to earn the conviction of his constituents that he’s actually working in the best interest of the entire university, not just the people who agree with him,” she said. Aside from the debate over whether Harreld should hold additional town halls, recent public-speaking engagements in particular have sparked controversy. Early last month, Harreld gave a State of the University address at the Rotary Club, which Beck said was a long-standing tradition that was established before Harreld’s presidency. Landon Elkind, the president of Campaign to Organize Graduate Students, said Harreld seems not to feel a need to address his constituents directly. “To my knowledge, that transcript of that address is not online or publicly viewable,” he said. Also in October, Harreld gave a lecture at King’s College in London. 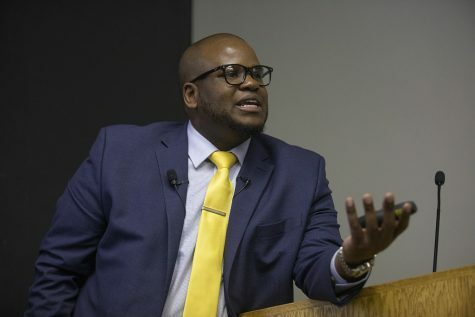 Beck said Funmi Olonisakin, a professor at King’s College and a colleague of Harreld’s, spoke at his installation in September, and he was invited to speak there in return. Harreld’s speaking engagement in London seemed like a potential violation of the AAUP’s conflict of interest policy to Tachau. Olonisakin worked with Harreld’s daughter, who attends King’s College, as her dissertation director. 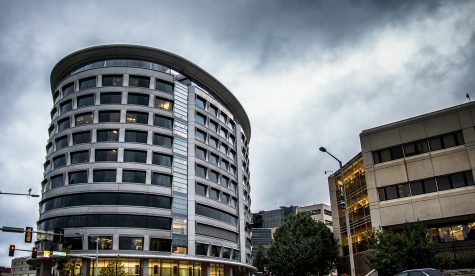 “It doesn’t seem appropriate to an awful lot of faculty,” Tachau said. Despite these concerns that Harreld is not truly listening to the UI community or displaying a willingness to learn from criticism, Beck said Harreld heard from students, faculty, and staff that the town halls were not conducive to making real progress on campus. Although the town halls may have been more “rambunctious” than UI officials would have liked, Elkind said, he believed the UI had more control over the event than they exercised.